Abersoch caravan and camping - high quality caravan and camping in Abersoch, caravan and camping abersoch, abersoch caravan and camping, pet friendly caravan and camping abersoch. Llanbedrog caravan and camping - high quality caravan and camping in Llanbedrog, caravan and camping Llanbedrog, Llanbedrog caravan and camping, pet friendly caravan and camping Llanbedrog. Pwllheli caravan and camping - high quality caravan and camping in Pwllheli, caravan and camping Pwllheli, Pwllheli caravan and camping, pet friendly caravan and camping Pwllheli. If you are looking for "Llanbedrog caravan and camping - high quality caravan and camping in Llanbedrog, caravan and camping Llanbedrog, Llanbedrog caravan and camping, pet friendly caravan and camping Llanbedrog." then you have come to the right page. If accessing a web site from the table below - each link will be opened in a new window for you. Caravan Park - Henllys Ganol has pitches with hook ups and has a shower and toilet block. Also has TWO self-catering static caravans, which sleep up to 4 people each. Fantastic views over the Rival Mountains and Cardigan Bay. A very friendly site. Caravan and Camping Park – Crugan Farm Caravan & Camping - is a family run Caravan Site situated on a working farm in the heart of the Lleyn Peninsular. We are within a five minute walking distance to the beach, grocery shop, family pub, cosy bistro and the spectacular costal path; and only ten minutes drive from Pwllheli & Abersoch. Caravan and Camping Park - A haven for campers - Bolmynydd Park is a reputable family run 5* Visit Wales site nestling in the shelter of Llanbedrog headland with unmatched views of the coast, the Lleyn Peninsula and the mountains of Snowdonia. Without doubt an idyllic and peaceful setting. Within easy walking distance of Bolmynydd there are two glorious beaches, a well stocked grocery shop, family pub and cosy bistro. With four camping fields to choose from there are a variety of pitches to suit everyone, with many pitches having electric hook-up points, if required. Caravan and Camping Park - Henllys Newydd is set in an elevated position with stunning views, Henllys Newydd is the ideal family touring and camping site, within easy reach of pubs, shops and beaches. The site has hook-ups, toilets and a shower block. We are members of the Caravan and Camping Club. 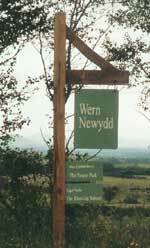 Henllys Newydd is a families only site. Caravan Park - Bryniau has 30 pitches with hook ups (water and electric), has a small shower and toilet block. Also has a self-catering 3 (1 double and 2 twins) bedroom static caravan, which sleep up to 6 people. Fantastic views over the Rival Mountains and Cardigan Bay. A very quiet and rural site. Caravan and Camping Park - Bodwrog has spectacular views over the bays and headlands to the Snowdonia mountains and is ideal for a relaxing break. Close to Llanbedrog beach and Abersoch, has a variety of accommodation available: caravan park & tent campsite, self-catering farmhouse & self-catering static caravan. Caravan and Camping Park - Wern Newydd is a family touring park and its picturesque setting in the heart of the Lleyn Peninsula makes it ideal for the perfect touring holiday. The Park extends to 3 acres of level or gently sloping pitches which are well spaced providing both caravan and campers with an enjoyable stay and greater privacy. Caravan Park - Ty Cynan - A family run Caravan and Camping Site situated within the beautiful Llyn Peninsula, opening in 2019 by Laura & Dylan Evans. Ty Cynan Caravan & Camping is a family friendly site on the outskirts of Rhydyclafdy within the heart of the Llyn Peninsula. 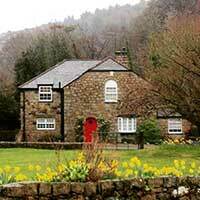 Within only a few miles of many of the area's fantastic and beautiful attractions! Caravan Park - Ty Hir is a small family run site with spectacular views over the bays and headlands to the Snowdonia mountains and is ideal for a relaxing break. Close to Llanbedrog beach and Abersoch, has a total of 17 pitches available with a seperate ladies and gents shower block, wet/disabled toilet/shower room and laundry room. Child and pet friendly. Caravan and Camping Park - Yr Helyg, The Willows, is a charming, refined, quiet 5**** site for Tourers and Campers. Recently upgraded and particularly commended for its cleanliness, range of services ambience and in particular the welcome and care whilst on site. This is the ideal site if you are seeking a peaceful vacation, plenty of space , beautifully maintained surroundings, clean facilities and large spacious level pitches which are all situated around the outside of their respective areas. A secure site with barrier access, stunning views and plenty of toilets and showers. You will be sure to be greeted with a warm welcome by the friendly owners. Free fridge and freezer facilities, tourist information point and, TV room. Both grass and deluxe hard standing Level pitches with 16amp hook up and Tv link [tourers], Laundry and dish washing area. Dogs are welcome. There is also a separate playing area located away from all units as no games are allowed in the camping or touring fields. Camping pitches are well manicured with outstanding views. For Sale see daily post article. The site also houses privately owned static caravans. The touring and camping site has 100 pitches. Static Holiday Homes - part of the Haulfryn Group. Caravan Park - Gwel Y Môr is a family-friendly site is situated in the breath-taking surroundings of the Llyn Peninsula and is a stone’s throw from some of the best sandy beaches in the UK. We can accommodate any length of stay, from an overnight break to those requiring a permanent or seasonal pitch.